Although glutamate toxicity is important in stroke injury, the immune and inflammatory systems are also related to stroke pathogenesis. 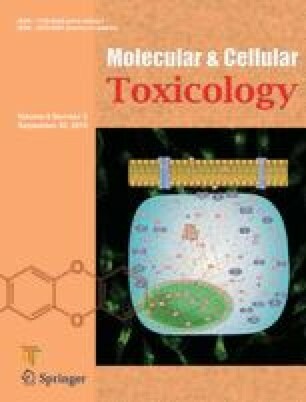 Tumor necrosis factor (TNF) receptor superfamily member 5 (CD40) plays a crucial role in mediating a broad variety of immune and inflammatory responses. To investigate whether CD40 polymorphisms are associated with the development of ischemic stroke, two promoter single nucleotide polymorphisms (SNPs) of the CD40 gene (rs1800686, −508A/G; rs752118, −173C/T) were analyzed in 121 patients with ischemic stroke (IS) and 291 control subjects. All stroke patients were classified into clinical subgroups according to their blood pressure levels (hypertension, present and absent), fasting plasma glucose (diabetes mellitus, present and absent), and lipids (dyslipidemia, present and absent). SNPStats and SNPAnalyzer Pro software were used to obtain odds ratios (ORs), 95% confidence intervals (CIs), and Pvalues. Multiple logistic regression models (codominant1, codominant2, dominant, recessive, overdominant, and log-additive) were used to analyze the genetic data. The two tested CD40 promoter SNPs (rs1800686 and rs752118) were not associated with the development of IS, but the GT haplotype of these two SNPs was associated with the development of IS (P= 0.0148). The rs1800686 SNP frequency differed between IS patients without hypertension and those with hypertension (P=0.017, OR=0.17, 95% CI=0.04–0.72 in the codominant2 model; P=0.023, OR=0.37, 95% CI=0.15–0.90 in the dominant model; P=0.0085, OR=0.42, 95% CI=0.21–0.81 in the log-additive model; P=0.011, OR=0.47, 95% CI=0.27–0.85 in allele frequencies). The A allele frequency of rs1800686 was lower in IS patients with hypertension (27.2%) than in IS patients with hypertension (44.3%), while the G allele frequency of rs1800686 was higher in IS patients with hypertension (72.8%) than in IS patients with hypertension (55.7%). These results suggest that the GT haplotype of rs1800686 and rs752118 in the CD40 gene may be associated with the development of IS, and rs1800686 may contribute to IS in Korean patients with hypertension.